Part of the Marie Therese crystal lighting range. 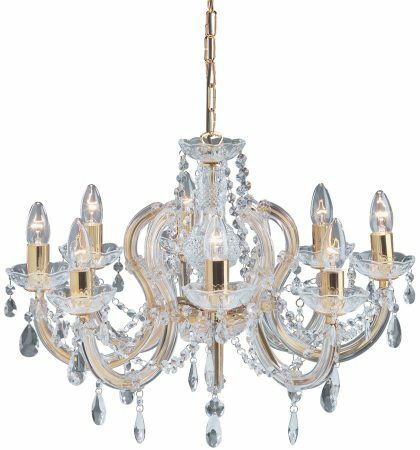 Traditional polished brass finish, eight-light chandelier, with a polished brass frame and candle tubes. 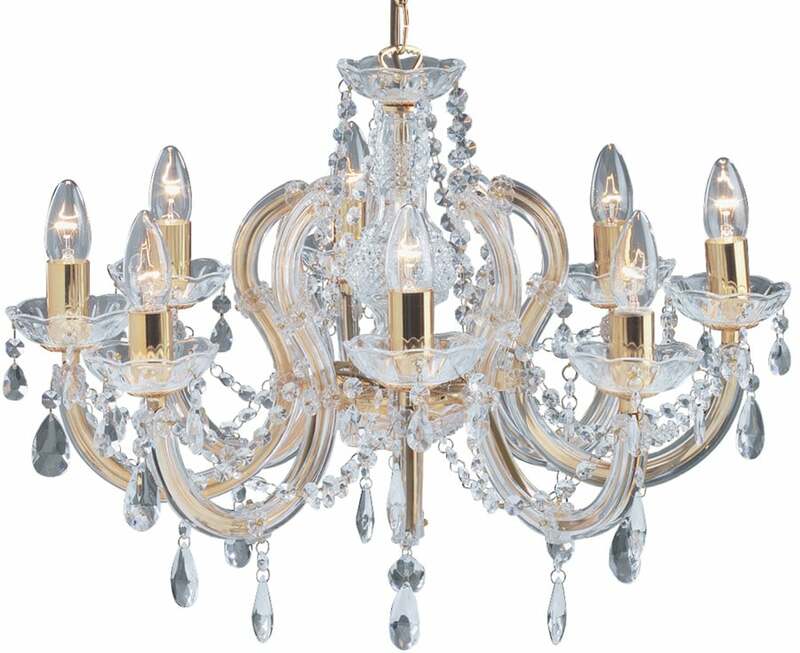 Graceful curved arms finished with glass sconce’s and delicate crystal drops complete this lovely chandelier. Height adjustable at the time of fitting, maximum height 1020mm.